Often hailed as the sequel, if a bit unofficial, to the legendary BurgerTime by Data East, Diner is certainly well worth the consideration as such. The game makes you once again wear a chef's uniform, and your mission is to fill the plate at the bottom of each level by kicking some sort of ingredient balls to make them roll downhill a pseudo-3D area. Similarly to BurgerTime, your mission is made more difficult by the wandering food monsters out to get you. Also similarly to BurgerTime, you can gain extra points by running down the monsters with the food ingredient balls, and you can also use your handy pepper spray to halt any monster that happens to walk into a cloud of pepper spray. While it's not quite as intuitive as the original game, it is very playable, and I would even go so far as to say that in the long run, Diner is quite a bit more interesting and addictive than BurgerTime. I guess the status of an unofficial sequel comes from it not having been made by Data East, but considering that the game had more sequels and spin-offs in the arcades and elsewhere, long after Data East's demise, and since the same man who made the Intellivision port of the original game was responsible for the INTV-exclusive sequel, Diner is pretty much as good as official to me. Also, the combination of a similar viewpoint as in, for example, Realm of Impossibility, and the basic idea from BurgerTime is a rare one, so I'd say it's pretty unique as well. Although many people think first and foremost of the 1991 Disney adaptation when speaking of Beauty and the Beast, the story is a very old, traditional fairy tale, first written by a French novelist by the name of Jeanne-Marie Leprince de Beaumont, and published in 1756. Sure enough, film adaptations and different variations in literature have been made long before 1991 as well. A video game based on the story was inevitable, of course, but... well, the 1982 game by the same name from Imagic doesn't have all that much to do with the classic. It does have quite a lot to do with an altogether another sort of a classic. As you can see, it's a variation on the first level of Nintendo's Donkey Kong, if not exactly a blatant rip-off of it. The story goes, Horrible Hank has kidnapped your girlfriend, and you need to climb a big old skyscraper to rescue her. Naturally, your way will be many obstacles, such as birds, bats and rats, but instead of climbing ladders a la Donkey Kong, you need to climb through open windows to get to higher platforms. The open windows change periodically, so you need to be quick in your actions. It's not a very unique game, but it's definitely an exclusive one for the Intellivision, and it's a pleasant enough variation on the Donkey Kong idea. The gaming community would still have to wait for a proper Beauty and the Beast game until the Disney movie, and we surely got more than enough of it then. Not that we cared about them all that much. Our third and final entry for the Intellivision this time reminds me of many games, but I'm not sure if it's entirely comparable to any of them. Thunder Castle loans some aesthetics from games like Cavelon and Pac-Man, but has some elements in it are not very often seen in other games. The idea is to get rid of a certain number of foes in each level before you can proceed to the next level. How this actually works is a bit unexpected: you need to catch a smaller foe in order to get an ability of a limited duration that will make you able to kill the bigger foe by touching it. In level 1, for instance, you need to catch a bat to be able to kill the dragon. It's not as easy as that, though, because your knight is just about as slow as all the other moving sprites on the screen, so you need to strategise your way through the game. Also, another thing you must focus on are the appearing and disappearing blocks that will open and close passages in small intervals - this can actually be rather helpful, when taken advantage of properly, in addition to them having the ability to trap you. An interesting exclusive game for the Intellivision, to be sure, and even a bit unique. It's not a particularly enjoyable one due to its slowness, but then it's a game that requires more thinking than action. As much as the title reminds you of any cheap-yet-explosive action film, the game doesn't have much in terms of action to offer. In fact, it's almost exactly the opposite. The idea is to drive around on something resembling a bulldozer, drive over some purple bugs, which turn into object that the game refers to as crystals, and deliver them into the hole that looks something like an eye, that you always spawn next to. You will also have to avoid driving into water, as well as black insect-like vehicles that will eat you up. Having successfully delivered any required amount of crystals into the eye will make you warp to the next area. To my knowledge, that's all there is to it, but I haven't been able to get very far in it due to sudden loss of interest after getting to level 2. It's not a very interesting game in the long run, as it's very little more than a slightly upgraded version of Radar Rat Race (or Rally X) with a twist, and the steering wheel restricted controls don't help the matter, since the gameplay doesn't really benefit from an analog controller. But for what it's worth, it's unique in a way, and certainly an exclusive for the ColecoVision. Let's hope it stays that way. Since the ColecoVision doesn't really have all that much of games that are completely exclusive to it, I had to go with one that the ColecoVision could boast of having the only home conversion for. That said, I could have picked one from a good bunch of games originally released for the arcades by Exidy. Judging by the list of Exidy arcade games ported exclusively for the ColecoVision, they must have had some sort of deal with their games. But I'll stop the speculation here and tell you about the chosen game. Pepper II, to anyone's knowledge, has no part 1, but judging by the game's style, it could well be an unofficial sequel to Konami's arcade classic, Amidar. As in Amidar, your mission in Pepper II is to guide your character around a maze and conquer rectangular areas by drawing a pathway around them. However, in Pepper II, the maze consists of four connected areas, which can be travelled into through passages in the middle of each side. Also, while Amidar makes you reconsider your strategies for every level, Pepper II only makes the further difficulty levels more of a nuisance with lights going out every now and then, and the enemies getting more hostile and so forth. Then again, finishing up all four screens of the maze is a lot more to put up with than just the one screen in Amidar. Although Amidar also has its own share of Pac-Man qualities, Pepper II has taken advantage of some more of Pac-Man's gameplay characteristics, as well as some of... dare I say it... Berzerk? Basically, the ghost-like enemies spawn from outside of the part of the maze you inhabit, and will be eventually accompanied by a bigger, faster and more vicious character, who seems to have a similar mentality for hunting you down as Berzerk's Evil Otto. And the Pac-Man related thing serves the purpose of those big pills that allows you to hunt down the ghost-like creatures instead. So, while it's not unique, nor exactly an exclusive game, it deserves to be mentioned because it's a damn good arcade game, and sadly underexposed due to its only home conversion being on the ColecoVision. Unfortunately, this game also happens to be one of the very few on the ColecoVision that require a steering wheel to be playable, so getting to play the game at home can be difficult, if you're aiming for a real Coleco experience. As it happens, even with the wheel, the game still doesn't feel very comfortable, at least when emulated, since the steering is very slippery and not nearly as analog as it is supposed to be. But it's still aeons more playable than the god-awful 8-bit conversions of Hard Drivin', and at least Coleco had the excuse of attempting too much way too soon with the Dukes of Hazzard. Hard Drivin' on the 8-bits was too much too late. In fact, Coleco's take on the Dukes of Hazzard could be called a trailblazer of sorts, seeing as it is a first-person racing game. For 1984, that's a true rarity. Because it's also an exclusive game for the system, if not exactly unique in the larger scale of things, it does deserve a mention here. But unfortunately, this was pretty much all that I could come up with for being Coleco exclusives. 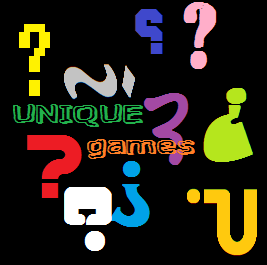 If you have any suggestions of games that have no mention at MobyGames, and are exclusive for the ColecoVision, do leave a comment. Tynesoft is a strange company. I never really had a properly good experience with any of their games, but at least they had a lasting impression on me with their multi-load sports titles trying to emulate the success of Epyx's multi-load sports games. Not until recently did I know that they were rather well known for releasing licensed ports of some big games for smaller systems, such as Spy vs. Spy, Boulder Dash and Jet Set Willy for the Acorn computers. They also did a few sub-par exclusive games for the smaller systems, such as this one. Canoe Slalom is pretty much what it says in the title - you manoeuvre your canoe around a fast flowing river and slalom through gates while avoiding natural obstacles. You will encounter two types of gates in the game: light blue ones, which you go through normally, and yellow ones, which you must reverse through. You can also go between two logs for extra points. Unlike most canoe slaloming games of the time, this one has an isometric point of view, and the game scrolls quite well. It's too bad the game happens on a completely straight river, but then again, this is one of the earliest examples of isometric water-based games, so you cannot expect too much of it. At least it has a course designer, which is always a plus. In that at least, I can say it's a fairly unique combination for such a simple game with an underutilised concept. Mastertronic released a great deal of cheap classics for the Commodore computers, but for some reason, some of the better ones only ever made it to one single platform. As with Oblido and Mr. Puniverse from previous Unique Games entries, The Exploits of Fingers Malone only ever presented itself on the C16. The Exploits of Fingers Malone is basically a variant of Miner 2049'er, Mr. Robot and other such games, where you need to walk over every bit of marked floor before you move on. There are a couple of refreshing twists here, though. First of all, it's not actually a traditional platformer, as you cannot jump - for moving up and down, you use one-way escalators and a ball-shaped lift. Each level will have two enemy sprites moving around just as quickly as you do (which is QUICK! ), and my guess is, they're supposed to portray policemen, as you are apparently supposed to be a bank robber. As usual, there are also one-way conveyor belts in the levels, but in this game, you can change their directions by pushing the fire button next to them. But what's most unique about this game is how you actually make progress: you have to collect all the keys from the level before going to the safe, which you must open and get the loot from it before you can head towards the exit. Naturally, there's also a time limit in the game. It doesn't need to be more than a fairly simple idea that can add plenty of depth for an old genre, but you have to do it either very carefully not to mess the basic idea up, or throw some wacky paint on it to see if your random ideas actually have a chance to work. Of course, I don't really know what happened here, but somehow, the game works. It's a bit rough and difficult due to its raving mad speed, but I cannot think of a reason why wouldn't I recommend this game to any platforming fan. Since it's a C16 exclusive, it only adds to the list of good potential games to own in your forthcoming C16 library, unless you already have it. One of the most intriguing things I have come across on the Plus/4 World website is this rather unknown freeware piece by Redsoft, simply called The Life. It looks to be some sort of a life simulator disguised as a graphic adventure or something, and I do mean "something". As it's only available for the Commodore Plus/4, and the author hasn't been active in a long while, I very much doubt there will ever be any conversion of it. There is no information available for the game whatsoever, so it's very difficult to get started with. You control the cursor on the screen and click on things, trying to find out things you can do with your time, and setting some actions into the timeframe on top of the screen. I have no idea, how any action will affect anything, but amidst the boring, everyday life sort of stuff, you also seem to be able to perform felonies and other obsucre things. Unfortunately, the game doesn't really give you any indication of what you are supposed to do, but that's part of why this game is such an intriguing mystery. I cannot recommend this, however, unless you really want to help others like me finding out, what are you supposed to do in it. The ridiculously long loading times don't really add any incentive for trying the game out on a real Plus/4, so if you do feel like trying it out, go with emulation. Our first title for the DOS section deserves a mention solely for being the final work of fantasy/sci-fi novelist Roger Zelazny, best known for the Chronicles of Amber. As he passed away during the development of the game, the novelisation of Chronomaster (co-authored by Jane Lindskold) became his last literary work as well. Chronomaster is a singular type of an adventure game, with puzzles requiring some abuse of time and space in a unique manner. It is a difficult adventure game to describe in few words, but basically, it is a mouse-controlled, icon-driven adventure game in a futuristic fantasy/sci-fi setting with a plot involving pocket universes, suspended time and strange mysteries. Even for a game from 1995, Chronomaster features an overabundance of CG cutscenes, which could be considered bothersome, but for this particular game, they are rather important... for the most part. There are some bits in the game that are not completely necessary to go through in order to achieve your goals, but in any case, it is a very long game to sit through with emphasis on dialogue and strange puzzles, as it is a piece of interactive fiction (similarly to old text adventures) at heart. For a more detailed description of the game's plot, check the Wikipedia page. Bethesda have certainly made their mark in the last 10 years for producing some of the finest single-player first-person role playing shooters - indeed, they have become my favourite current publisher. In their early years, they managed to publish a few games for the Amiga and ST, but roughly from 1991 to 1998, they only published games for DOS-based PC's. Their earlier works concentrated very much on team sports and different kinds of 3D action games, but in 1994, Bethesda started to explore some new directions - the first Elder Scrolls game being one of their two games released that year. Delta V, a futuristic first-person racing game, was the other, and both were DOS-exclusives. Of course we all know what became of the Elder Scrolls, but Delta-V was destined to be one of the games that would be mostly forgotten in time. The game plays something like a cross between the old Star Wars arcade game and Wipeout, since you're flying some really long and difficult tracks on a very fast flying vehicle, and try to shoot as many enemy vessels as you can, while trying to stay alive through the track. You are also given some specific missions to choose from between levels that you don't really need to worry about, as long as you survive. Unfortunately, the game is of that exact age that is very difficult to get to work properly on a modern PC, even with DOSbox, so your best option would be to get yourself an old Pentium PC with all the goods, and hunt the game down to play on it. In its current state of support, which is none, Delta-V might as well be forgotten as much as it has been so far, if you don't have some old hardware at hand. Don't let the looks fool you - this is not just another Rogue-like. ZZT is actually an immensely interesting thing, despite having very preliminary graphics. See, what it actually is, is a game maker software for the MS-DOS, although it does come with a complete example game to show some of the things it can do. To be more precise, ZZT comes with an object-oriented scripting language, which allows easy level editing, but also, a huge set of rules, which extends your options to creating different sorts of games as well. So, in essence, ZZT as a game could be described as a rather peculiar Rogue-like with plenty of new gameplay mechanics, but since it isn't only that, I can only recommend you to try out everything you can find based on the ZZT engine. Of course, the original ZZT package is a good one to start with, since it also acts as a nice look at the game that practically allowed Potomac to evolve and expand into Epic Megagames (currently Epic Games). Yes, there are plenty of exclusive games for the Amstrad to be found, if you take the trouble of searching, and some of them are even quite unique as well. The Game of Dragons by Oliver Goodman doesn't exactly fall into the latter category, though. From a couple of screenshots already, you would probably be able to tell the idea. You just need to either kill all the dragons or collect all the gems from each screen to proceed to the next level. The slightly more unique aspect of the game is the number of different types of dragons and their own specific sorts of behaviours, which is something I confess I have never before seen in any other game of this type and age. For that alone, it is recommendable to check this game out, but I have to warn you - it is devilishly difficult. It feels strange to think even Ubi Soft is almost 30 years old, because as a C64/Spectrum user, I only found out about the company around 1991 or so. 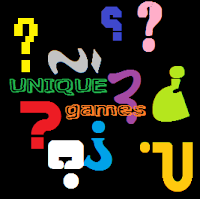 But so it happened that in March 1986, five brothers of the Guillemot family founded the videogame publishing company in Brittany region, France. At first, they only released games for the Amstrad CPC, which explains this title being here (even though many others would have fit the bill), but since late 1988, they started releasing games for 16-bits and even more later on, for other 8-bits. The reason why I chose E.X.I.T. for inclusion now, is because it was suggested earlier by a reader, who's also an Amstrad fan, who also told this was a properly unique title. To be sure, it is. The plot is fairly straight-forward sci-fi stuff: your spacecraft comes crashing on a strange planet, and you need to fix your spacecraft from collecting parts all over the planet and solving puzzles and whatnot. At first, it sounds almost like Jet-Pac. For the most part, E.X.I.T. is a graphic icon-driven adventure with no text whatsoever - you will need to rely on your curiosity and skills of observation to find out what to do with what. In lesser segments, you have some first-person roaming around to do, as well as brief bouts of arcade action. While diversity is all good fun, the real unique aspect of the game is in the game's structure. According to Brice Shore, the game's programmer, the map of the planet is designed to be spherical, so the blueprint looks curiously like the board of Trivial Pursuit. Of course, it feels quite a bit different in the game. All in all, this is a very interesting and recommendable game, if you have the patience to ponder about and test things. Since it's one of the few properly good and unique Amstrad exclusives, it certainly deserves a try. One of my favourite TV-shows as a young lad was this British-American police show, mostly due to its epic theme tune, but I cannot deny that there were other inducements for watching the show. Many years ago, I noticed a game based on the TV-show was listed on some computer game retailer or another, but I have only vague recollections about it. Only recently, I found out that this was actually a real game, and it was in the making for C64 and Spectrum, but somehow, it was only ever released for the Amstrad CPC. The game adaptation starts off promisingly: you get a detailed description of the game's plot and some instructions for the basic gameplay. There seems to be a good deal to do in the game as well, and the closest point of reference to the game could be Miami Vice and Infiltrator combined, but unfortunately, Dempsey and Makepeace fails miserably at getting itself anywhere near the level of playability from either case. Going through the buildings is slow and burdensome, and the buildings all look quite alike. The action menu system works similarly to that in Spy vs. Spy, but is less useful and undescriptive. Driving around the town like in Miami Vice is the most horrid part of it, however, since your car is unresponsive and impossible to get anywhere you want for it to go. At least it's not Game Over the second you crash properly, but it doesn't really help the overall feel of the game. Perhaps I'm being slightly unfair here, but my guess is, the quality and reception of the Amstrad version was bad enough to pull the plug from the other two versions. It doesn't match the legacy of the TV-show in any way, but at least it's definitely more interesting than either of the two Elite TV-adaptations I made a comparison a while ago, and deserves to be given a bit more of a chance than I might have given the impression of. We start the C64 section this time with a properly singular piece - the only Novagen game that was only ever released on one machine. The game itself isn't all that much to talk about, just a very large open-world military-themed shoot'em-up. The idea is to retreive eight pieces of a bridge that will lead you to the Neutron Beam Weapons Base, where you must take out Neutron Beam and save your fellow comrades, and probably bring some 'Murican freedom to your enemies while at it. On your way, you can find a few different sorts of weapon upgrades and shields, as well as new weapons and other little nuggets. As such, it's not a unique sort of game at all, but the utter vastness of the map is something commendable on a C64 game - indeed, on any 8-bit game at all. For fans of Commando-like games, this should offer a good challenge, but it's not necessarily the most accessible, nor the most recommendable shooter ever. Also, if you don't have a C64, it's not exactly worth getting one for, there certainly are better games for that. This here is more like it. Although not a perfectly executed idea by any means, Deceptor presents a refreshing take on something curiously close to being a Transformers game. You play as a transforming robot, who has three forms: a sled-like vehicle, a plane and the actual robot form, which is the only one that has the ability to shoot. You have to get through isometrically presented three-dimensional mazes, within which you actually need to move in all three dimensions, and fight against some end-level bosses with the strange looking bullets you have to collect in the maze while avoiding different sorts of enemies. Although it doesn't actually need one, Deceptor has a practice mode, in which you can hone your skills. As a nice and unexpected bonus, you can also tune your controls - the responsiveness, acceleration and deceleration of both shapes, as well as the speed of transformation, so you need not watch the transformation cutscene if you wish not to. I would definitely recommend this game very highly, if not for the fact that it doesn't have an ending, and also because there are only a few mazes to play through. But it's a very good idea executed fairly well. It's not the most pleasing audiovisual experience, but it's definitely a unique game, even if based on a not-so unique concept. And of course, it's exclusive for the C64, else it wouldn't be here. It is a bit odd, that you see mice and rats more often as a game's protagonist, rather than a dog or a cat. Odin's rather obscure platformer "On The Tiles" was the only one I could think of from the top of my head, where you play as a cat, and which was only ever released on the C64. In this game, your mission is to prove you're the meanest cat in town by collecting four fish bones from each area, while defending yourself from hedgehogs, slimy toads, owls, dogs and other cats. Some foes will drain your energy, while others will kill you instantly. Also, fleas might latch onto your fur, and ten fleas will also be enough to take one of your lives. At least, eating sparrows and mice will replenish your health, so it's not all danger and misery. Once you have picked up all the fish bones, you have to run out of the current area and onto the next. While certainly one of the toughest platformers in the history of C64 platformers, On The Tiles has its fair share of charm and addictiveness, and the very life-like animation of our protagonist is certainly worth the load. So, it's not only exclusive, but it's slightly unique as well, and worth a look. Games based on the concept of cleaning service are not particularly unique, although they're definitely of a rare breed. Mrs Mopp represents this sub-genre of arcade-action games as one of the earliest, if not THE earliest examples, and also has the pleasure of being one of the only early non-adventure games programmed by a woman - Tina Billett, more precisely. Of course, it's also a Spectrum exclusive. I would almost go so far as to call Mrs Mopp the first feminist game, although I'm not exactly sure what would qualify as one. The idea is fairly simple - just clean the house (not yours) before it gets too messy. You just control Mrs Mopp with either a joystick or the keyboard, choose a tool to work with, and collect the randomly appearing items of the corresponding colour of your wardrobe from around the otherwise blank space. You can change your tool/dress whenever necessary, and when your current tool (container, really) is full enough, you need to empty the containers into processing items, such as a dishwasher and a dustbin. While Mrs Mopp does all her work, she gets gradually exhausted, but she can get some more energy by drinking some wine. If you let her get too tired, she takes off and goes home, and leaves you with the undying quote, "A Woman's Work is never done". You can even somehow compile a magic spell, which can make you avoid a nervous breakdown, but I have yet to find out what it actually does. As a game concept, it is a rarely utilised one, and this sort of take on it is certainly unique. There is also a game called Mrs Mop (with one 'p' in the name) from Ariolasoft on the C64, but it is completely unrelated to this one in anything other than its title and the basic setting. The Spectrum game is infinitely more enjoyable and more charming, even if it is a tad simpler in basic gameplay and graphic design. Can I say more? Highly recommended. 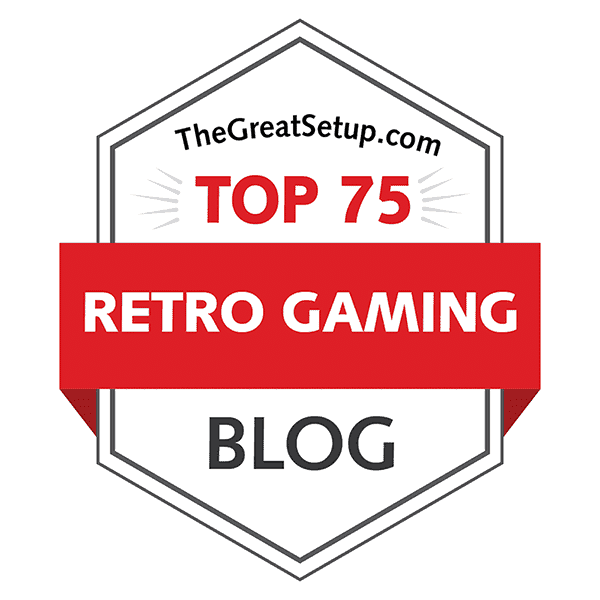 Although Viking Raiders doesn't currently reach the Top 100 at World of Spectrum, it is still a very highly rated game, albeit a lesser known one. It's also one of the earliest releases from Firebird, who, like so many other pioneering game companies, didn't really know exactly what they were up to, so they released all sorts of things with all degrees of success. This one happened to be one of the bigger ones, and deservedly so. According to the Bird Sanctuary website, Viking Raiders was the first game for Firebird that was both something completely different than the usual norm (arcade/action), as well as a 48k Spectrum exclusive. Basically, Viking Raiders feels like the very bare bones of Defender of the Crown, as your mission as one of the chosen four vikings is to build an army by spending gold on your troops, boats and catapults, and then move on the fairly basic map with the chosen method of orders, and let the little vikings fight and hunt for treasure. In other words, it's an early form of a turn-based medieval military strategy game. Naturally, the winner is the team left alive at the end of the game. The game is made more interesting by having a procedurally generated map, which allows for different starting situations and more random events in gameplay. So, even with its basic graphics and outdated style of gameplay, it's still a fun game to try out, and worth having on the list. Pete Cooke, whose work should be familiar for most Spectrum users, did something peculiar in 1988 - a rather traditional shooter. From a man responsible for such unorthodox classics as Tau Ceti, Juggernaut, Brainstorm and Academy, Earthlight came pretty much from the left field. But of course, Pete Cooke's take on a traditional shooter had to be something not quite traditional. Your mission is to clear eight zones of enemy craft, and pick up some mysterious boxes while at it. According to the plot, an alien explorer called Slaatn (our protagonist) has been drawn off-course by a beam of energy from Earth, and has had to make a landing on the moon. Slaatn has to pick up and neutralize the box-like transmitters from all the eight zones of the moon, and thus eliminate the force field. The gameplay feels something like a cross between Uridium and Impossaball, if that makes any sense. In essence, you control a small traditional flying saucer-like spacecraft in a strictly horizontally scrolling three-dimensional field with a limited Y-axis and a seemingly neverending X-axis, in which you can move in all three dimensions, but you can only shoot left or right, depending on your alignment. Each zone has a number of different sorts of enemy crafts to be shot down, and all zones have a varying number of the transmitters you're supposed to pick up and eliminate. Once you're declared all the enemies dealt with and the boxes picked up, you have to return to the base you started from. I'm sure the game would have worked perfectly well as a Defender clone, but the 3D presentation, particularly with all its fantastic shaded graphics, parallax scrolling and shadow effects, offers a unique experience on the Spectrum machines. The 128k Spectrum users are privileged to also hear a nice rendition of a Vivaldi track - who has been actually credited in the title screen, something I've seen done nowhere else in old games. So, definitely unique! That's it for now, hope that was worth the wait! That said, you're probably going to have to wait for the next part in the series until next year, because I am buried under a load of all sorts of work at the moment, including the next issue of RESET magazine. Besides, we're already on our 9th entry in the series here, so I'm going to have to dig up something really special for the 10th... let's see what happens. Next time, back to regular service again, and the upcoming comparison will be one which I hinted about in my Year 3 teaser picture in late August. Thanks for reading - comments are welcome!